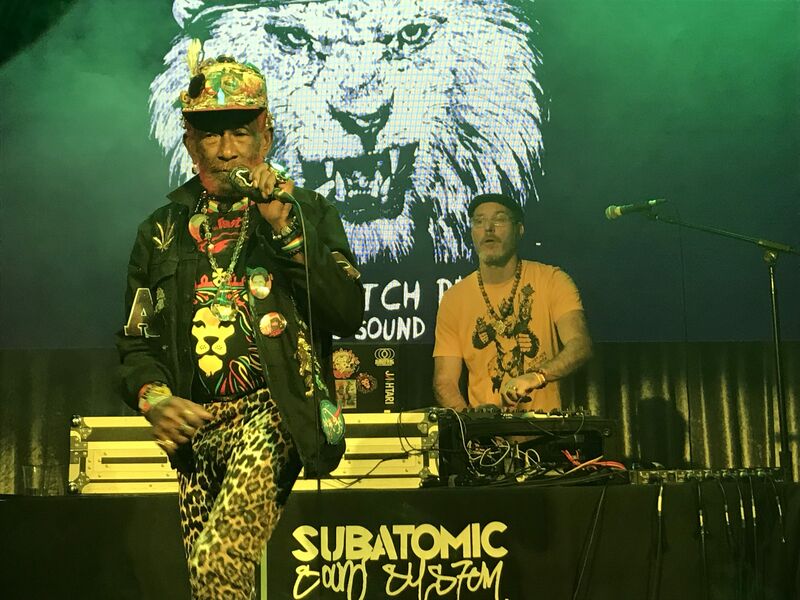 On Saturday the legendary Lee “Scratch” Perry graced the stage of the newly opened SLO Brew “The Rock” concert venue in San Luis Obispo, performing in honor of the 45th anniversary of his 1973 album “Blackboard Jungle Dub“ (recognized by many as the first dub album to ever be released). Perry’s fertile collaborative chops are well established. 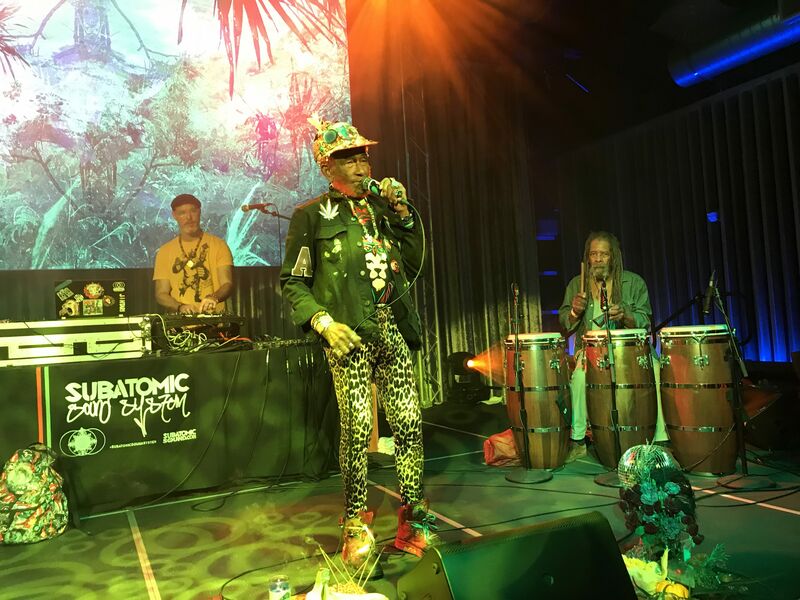 As one of the most prolific and influential Jamaican artists of all time, Lee has worked with numerous musical pioneers, including Bob Marley, the Clash and Paul McCartney. 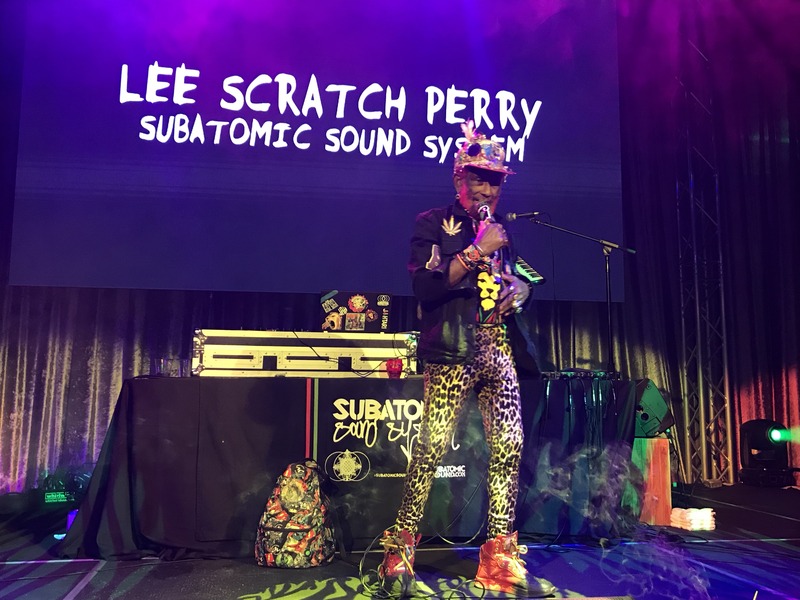 Despite his uncontested place in the pantheon of musical greats, Perry hasn’t been satisfied with resting on his laurels. 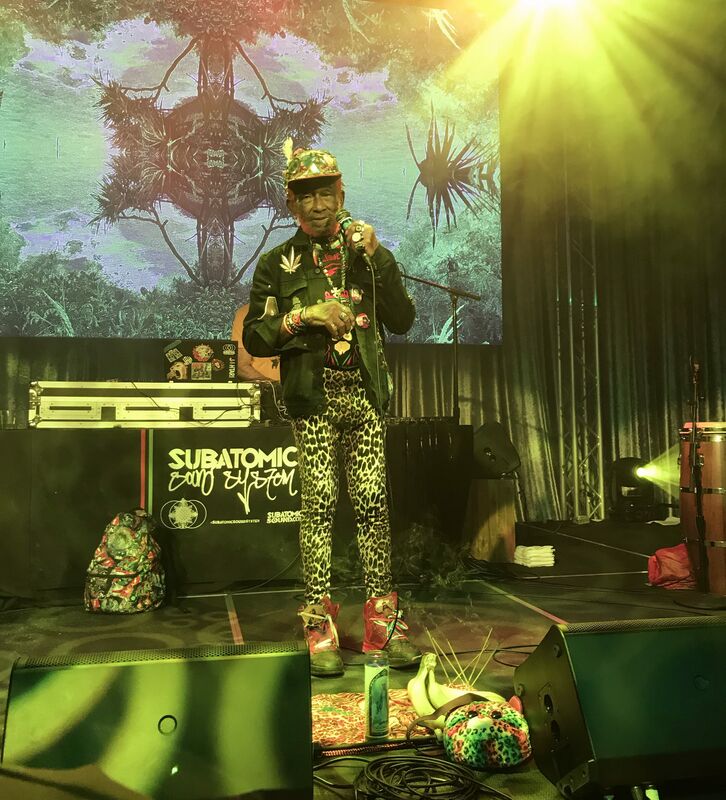 He has continued to trailblaze and chart new musical territory, including forays into contemporary dubstep and EDM (electronic dance music), further ensuring his status as a figurehead whose influence has touched multiple genres and generations. At the start of the concert Lee ceremoniously lit an impressive blunt that, like Lee himself, seemed to defy the laws of physics by maintaining its combustible vitality and exuberance for what seemed like the entire duration of the concert. At a spry 82 years of age, Lee’s brightly colored red beard and hair (accompanied by his unique amalgamation of various fashion statements) further reinforces his image as an iconic musician whose lack of convention has made him even more endearing. 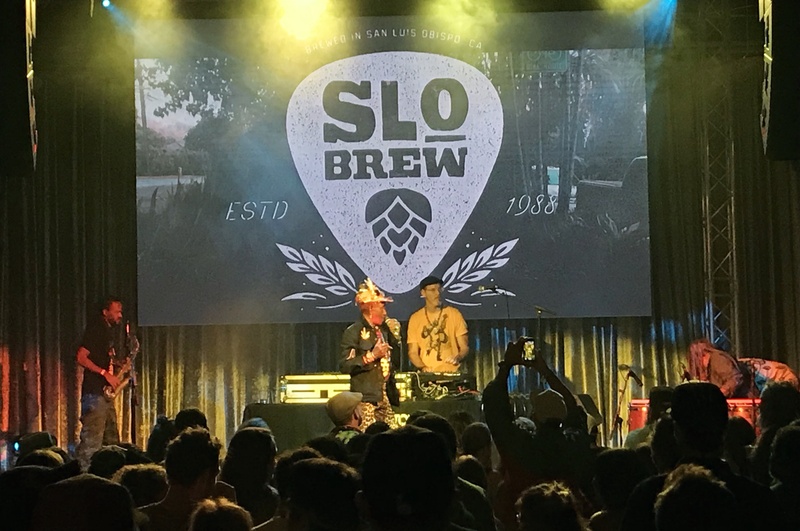 Those in attendance witnessed firsthand the creative energy and flames that, like the smoke billowing from his beloved collie weed, continue to emanate from Lee’s soul. Accompanied by the talented members of NY collective Subatomic Sound System, including drummer Larry McDonald, saxophonist Troy Simms and DJ and multi-instrumentalist Emch, the group cast an organic, gritty, dance-inducing spell of good vibrations, like irie magicians ushering a neophyte into a transcendant vision quest. 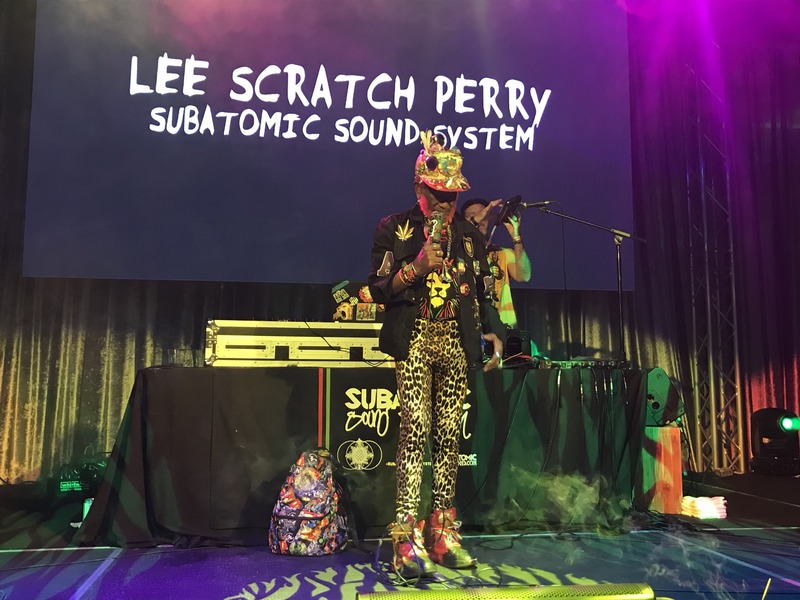 The spirit animal of the “Super Ape” was uncaged and present throughout the night, with multiple songs harkening back to Lee’s prolific 1970’s Black Ark studio output and 1976 album of the same name. 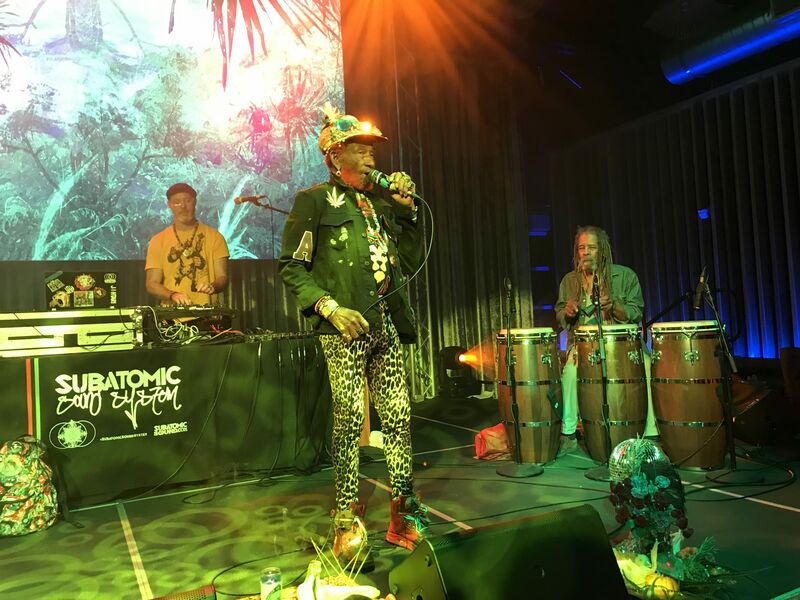 Other highlights of the night included creative permutations and reworkings of Perry classics such as “Dread Lion,” “Inspecter Gadget,” and “Zion’s Blood” amongst many other discernible dub gems. 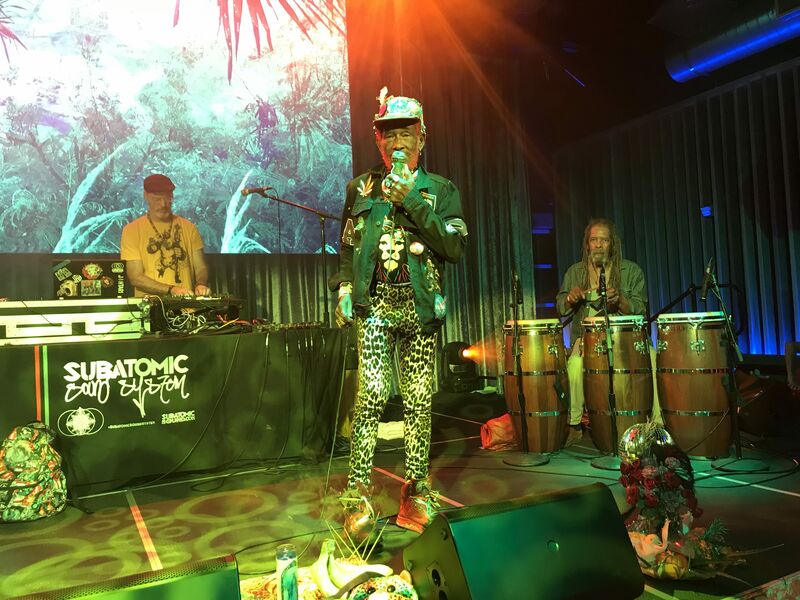 By the end of the night Lee and the band had fully delivered the goods, giving the audience a bountiful feast of nourishing aural sustenance to satiate their musical cravings. 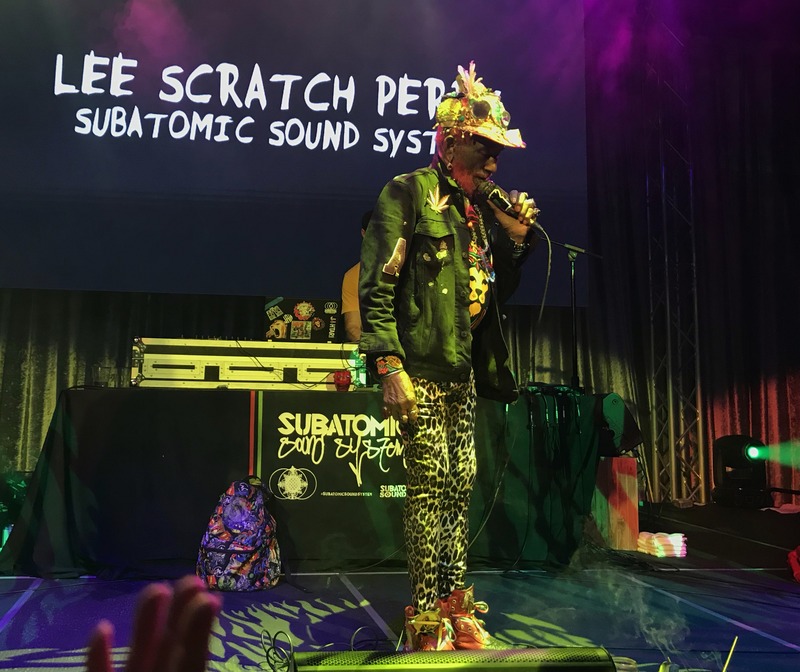 For more information about his current tour, check out his Facebook page or website at http://www.lee-perry.com. 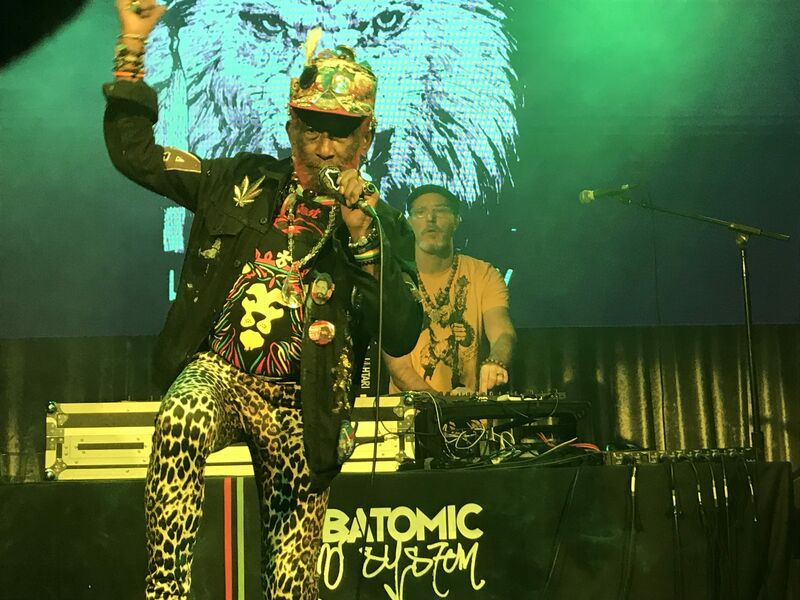 And be sure to check out all of the prolific happenings going on with the Subatomic Sound System crew subatomicsound.com.